The diocese of Hanoi publishes the memoirs of the auxiliary bishop who died on September 7. "Story of an era" narrates, in diary form, the life of the Church in the country since the advent of communism to this day. The events of the '50s to today tells of the sufferings of bishops, priests and lay people and offers useful elements to understand the relevance of Christianity in Vietnam. Hanoi (AsiaNews,) - The diocese of Hanoi has published some of the memoirs of Mgr. Paul Le Dac Trong, former auxiliary bishop of the capital, who passed away on September 7at the age of 91. Witness of the life of the Church in Vietnam in the last century, Mgr. Trong Kim Lam was born in 1918. 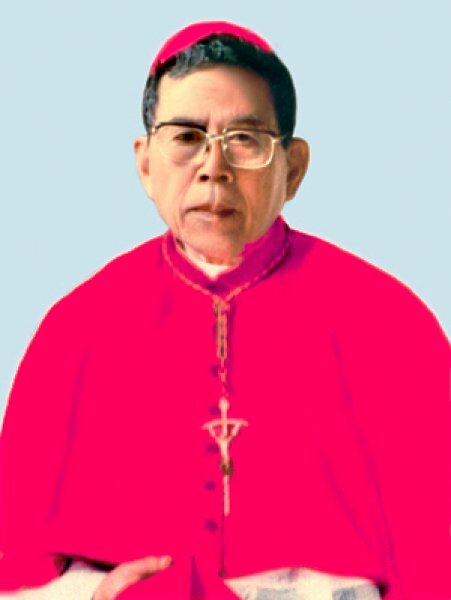 Ordained priest on 1 April 1948 and on 23 March 1994 he became an auxiliary of Hanoi. The book is titled "Story of an Era" and shows the introduction is written by Mgr. Joseph Ngo Quang Kiet, the current archbishop of Hanoi. Written in diary form, it shows the events of which the bishop was a direct observer. In the first part of the book, Mgr. Dac Trong summarizes the situation of the Church in North Vietnam before the advent of communism in 1954. When communist troops took Hanoi, he writes: "Faced with possible persecution Catholics fled south in droves. The priests, especially those who knew what was happening in Russia, Spain and China, where a large number of Catholics were killed by the Communists, fled with their followers deserting the dioceses of the North". The bishops had asked the priests to remain and in some cases even threatened punishment for those who went to the south. The migration of a large number of priests to the south caused many difficulties for the dioceses of the north. After describing in detail the situation of every diocese in the north in the '50s, Mgr. Paul Le says: "It 'was a disaster. In a very short period of time, Catholicism was completely uprooted from the north". The late Bishop explains, however, that the "escape" of such a large number of priests did not only have negative implications. He states that it "has contributed to the rapid flowering of the Diocese of the South" and that "those priests who remained [in the North] had to be firm not to bring harm to the Church". A large number of priests were imprisoned and put under pressure. Some of them ended up in the “United Front of Patriotic Catholics who want peace", born in March 1955 with the intent to establish a state-controlled Catholic Church, loyal to the party and not to the Pope. The United Front made "the life of bishops harder and more complicated". By remaining in union with Rome and the successor of Peter, the bishops saw the committee as a great and imminent danger for the Church. While the Church was not allowed to have the media, the front established a couple of weekly magazines in which "space was never given to good news about the Church, at the same time every scandal of the Church happening around the world was reported and there were frequent attacks on the Pope and the Vatican. The worst part - laments the bishop - is that they are doing all of this in the name of the official Church” In 1975, soon after the whole country was taken over by the Communists, a Committee of Solidarity of Vietnamese Catholics was born in the south, and July 10, 1975 the first issue of its magazine Catholics and People was published. The bishop spends a significant portion of his book criticizing the journals fierce and frequent attacks against John Paul II and the Vatican. The bishops who tried to forbid their priests to join these committees put their safety at risk and exposed the diocesan administration to enormous difficulties with harsh restrictions in selecting seminarians, carrying out ordinations, appointments and moving priests. The normal course of church activities such as travel, meetings and pastoral initiatives had to be subjected to approval of civil authorities. What was worse, the faithful of the rural areas were forced to cease all religious activities. The communist government, which controls religious activities, continue to insist that the United Front and the Committee of Solidarity serve to facilitate the dialogue between State and Church. The late bishop rejects this version clearly explaining that the committees have damaged both the State and the Church. "They only generated a deep distrust, inculcated concerns in church leaders and government over a unreal risk, prompting them to scramble for the recognition of their role as intermediaries. The emergence of these types of committees was a big mistake by the communists - says Msgr. Dac Trong - and it is time to dismantle them". Living in this kind of society hostile to faith, the bishops of Vietnam tend to be very careful and discreet because their positions can have serious consequences for them and the faithful. On September 20, 2008, meeting with the People's Committee of Hanoi, the current Archbishop Joseph Ngo Quang Kiet said: "Religious freedom is a natural human right for everyone, not a favour granted by those in power. Government 'for the people' has a responsibility to create conditions so that everyone can enjoy it, it is not a grace poured down upon us, at your leisure. I repeat again that religious freedom is a human right, not a favour granted only if requested”. For these statements Mgr. Quang Kiet suffered a media smear campaign lasting for months. Recently, the Archbishop of Hue, Stephen Nguyen Nhu The, his auxiliary,Mgr. Francis Xavier Le Van Hong and archbishop Joseph Ngo have undergone the same treatment of Mgr. Quang Kiet for having sought a peaceful dialogue between church and state. Many Catholics in Vietnam do not know the sufferings and difficulties suffered by their pastors to any great detail. Many have expressed the wish that the book of the recently deceased bishop be made widely available in the country, but it is unlikely that this will happen. However, thanks to the Internet, the digital version of the book is available online and work for translation into other languages is already underway.